Matt Reviews United 93 — Paolo M. Mottola Jr. 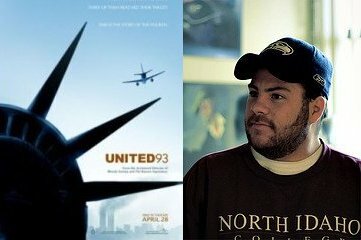 I went to see “United 93” this weekend and walked out of the theater proud, shaken and awakened from my self-induced slumber. Second only to “Passion of the Christ,” this movie was the most powerful piece of film I have ever watched. The heroism and determination of passengers on that fateful flight showed the awesome nature of the American spirit. They knew that their plane was not going to land and they did everything in their power to protect their own lives as well as their countrymen on the ground. They rushed their attackers with everything they had. The film does a great job of showing the passengers’ final moments as well as the struggle groups like the FAA and military had in grasping what was taking place in the sky above them and how to respond. Many people have stated that this film came out too soon. I say it was about time. We have pushed the events of that fateful day to the back recesses of our mind, hoping that time will wash away the painful memories so we can go on with our routine lives. Folks, we need to wake up. There is a beast out there waiting to hit us when our guard is down. We need to rearm ourselves with the weapons of vigilance and determination. The enemy is hoping to wait us out. They think that we will grow lethargic, and then, when we are not watching, terror will seize us again. This film reminds people why bastards like bin Laden are so dangerous, and that they are still active. It reminds us that we need to take to fight to them rather then waiting for them to strike us. If we do not want to see our skylines in flames, we need to stay the course and insure that the capabilities of terror organizations are eliminated. This is also a uniting film. It brings Americans back together under a common cause. After September 11, we were united and ready to punish those who hit us. Justice must be served and carried out no matter how long it takes. This film must be seen by Americans to unite us and remind us why there is a mission to complete. Our fellow citizens who lost their lives on that fateful day will not be forgotten, and those who brought so much pain will not escape the hand of American justice. Ultimately, this film is about self-sacrifice. These brave men and women sacrificed their own lives for the safety of others. They put everything on the line when their country needed them the most. As you sit at home, think about how much you would put on the line for your countrymen. Would you be one of the people rushing the cabin, disregarding your own personal safety and future, to insure that others you would never meet could live? Or would you be one sitting back hoping that your passive inaction will pacify your attackers? Let us never sit back. Let us never hope that if we sit here quietly they will just go away. Let us continue to rush that door with every ounce of strength we have to insure that the blessings and freedoms this country offers continue to be a shining light for the entire world to emulate and for us to enjoy.